This is a re-post of an article I wrote for IT Compliance Advisor, a part of TechTarget.com, in August 2009. I find the material to be just as applicable now as it was then. You can find a list of reference material here. One of the problems that many companies face is staying ahead of the information security curve. Go too fast and you run the risk of wasting capital, but run too slow and you run the risk of being compromised. So how a company can escape the hamster wheel of pain? Be proactive in managing risk and implementing a maturity framework for the organization. In an attempt to balance the two domains of cost and security, a continual tradeoff, many companies have implemented regulatory compliance standards. These are good tools for measuring ones security to a known industry baseline. The classic example of this is the Payment Card Industry Data Security Standard (PCI DSS). Using standards like PCI DSS, companies can measure their adherence to eliminating sensitive data and protecting the remaining in-scope systems. There are two problems with aligning an entire information security model along any singular guideline. It should be noted that, in the absence of any information security program, PCI DSS is a very good baseline standard. The first challenge is the 0-to-100 problem. Some companies start with no information security program and try to adhere to something like PCI DSS. Much like measuring the acceleration of a car by how fast it can go from 0 to 100 miles per hour, these companies struggle with getting from 0 to 100 percent compliance in under 12 months. For these companies this means implementing security for the sake of a deadline, which means not always having the time to test what works and what does not. The second challenge is the security limiter problem. Once companies reach 100 percent adherence to a given standard, many times they stop developing their information security program. These companies then enter a vicious cycle of identification and remediation. Each year, their auditors alert them to a new set of issues and, each year, the companies fix those and then relax until the following year. So how do we escape this endless cycle of identification and remediation? How do we provide a way for companies to go from 0 mph to 50 mph in year one, 50 to 100 in year two, and still be inspired to go from 100 to 150 in year three? How do we become proactive instead of being reactive? One option for addressing these problems is the capability maturity model (CMM) that involves risk management. A CMM is nothing new or innovative. It’s a useful approach for managing the maturity in a system. The Computer Security Handbook 4th Edition reveals that CMMs originated from software development. This book states that a CMM “can be used as a way to assess the soundness of a security product builder’s engineering practices during the many stages of product development.” If a CMM can be used for measuring the soundness of engineering practices, then why not leverage it to measure the soundness of information security practices? A maturity model encourages continual growth rather than strict adherence to Procrustean boxes of information security. It’s the mathematical equivalent of the integral or the continual variable transmission of an automobile. It provides a smooth curve instead of designated endpoints of information security. For companies suffering from the 0-to-100 problem, a maturity model enables growth from 0-to-50 initially, with the projection of moving from 50-to-100 at a later date. Companies that suffer from the security limiter problem have the ability to continuously and proactively plan information security development to parallel growing business needs, instead of an independent set of criteria. “Rather than focusing on controls, it focuses on the common processes of information security, which are shared to some extent by all organizations. 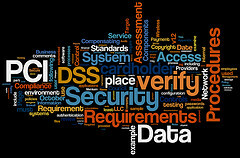 In addition, consider the Building Security in Maturity Model (BSIMM), which is “designed to help you understand and plan a software security initiative.” As well there is the, Open Software Assurance Maturity Model (OpenSAMM) project that can “help organizations formulate and implement a strategy for software security that is tailored to the specific risks facing the organization.” These frameworks exist as tools for helping develop the maturity of organizations and software through the use of measured metrics. And metrics is where all the magic really happens. Only by measuring the maturity of an organization and matching it to the development and progress of known attacks can we demonstrate that we are maintaining the balance between costs and security. There is a saying that if you and your friend are being chased by a bear, you don’t need to outrun the bear — you need only outrun your friend. In the world of ever-increasing compromises, many companies struggle to stay ahead of the curve. A maturity model, with proper metrics, can help your organization do just that. The best part? Companies that implement a maturity model and show measured growth are many times more likely to adhere to industry standards such as the PCI DSS.